Size: 4 x 6 inches. Brocante Distressed Gold Leaf Photo Frames. Composition: Resin/Glass. Two’s Company Fine Decorative Home Accents and Gifts. Size: 5 x 7 inches. Brocante Distressed Gold Leaf Photo Frames. Composition: Resin/Glass. Two’s Company Fine Decorative Home Accents and Gifts. Textured Crocodile Skin Pattern for 4x6 Photo. Size: 9.25W x 7.25H inches, Holds 4x6 photo. Mariposa Gifts Tableware Serveware and More. Found, Available and in stock now at the interior Digs N Gifts Shop Online or In store for local pick up. Textured Crocodile Skin Pattern for 5x7 Photo. Size: 8.25W x 10.25H inches, Holds 5x7 photo. Mariposa Gifts Tableware Serveware and More. Found, Available and in stock now at the interior Digs N Gifts Shop Online or In store for local pick up. 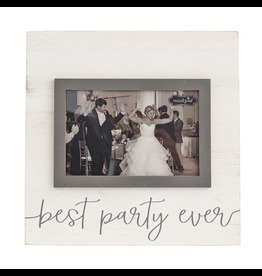 Engraved Photo Frame with sentiment This is us. Size: 8 x 7.2 inches. Holds 5x7 photo. Great family, wedding or anniversary gift! Mariposa Gifts Tableware Serveware and More. 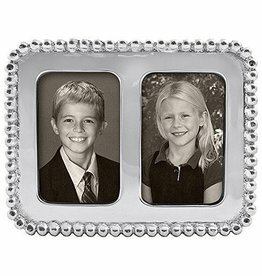 Engraved Honeycomb patterned Photo Frame. Size: 6x8 inches. Holds 4x6 photo. Mariposa Gifts Tableware Serveware and More. Engraved Photo Frame with sentiment New Home. New Memories . Size: 8.75W x 7.75H inches. Holds 5x7 photo. Mariposa Gifts Tableware Serveware and More. Double 2x3 Photo Frame. Size: 5.25x4 inches. Add two school photos or another favorite set of wallet-size snapshots. Part of the classic String of Pearls collection. Mariposa Gifts Tableware Serveware and More. Size: 6.75in L x 5.75in W. Holds 4x6 Photo. Engraved Message: Best Dog Ever. Material: Recycled Sandcast Aluminum. Mariposa Gifts Tableware Serveware and More.